As a distinct class of macromolecules, viruses are continually being studied in order to determine their properties. Following a knowledge of host-range infectivity, the particle mass-molecular weight of the virus and related properties - including size, shape, sedimentation, and diffusion coefficients - are also important characterizations. In the literature, these values have been determined for many viruses, and a variety of techniques are available by which such properties may be analyzed. Until now, there has been no single source for such information that the interested investigator may consult, and no databases provided this kind of information. 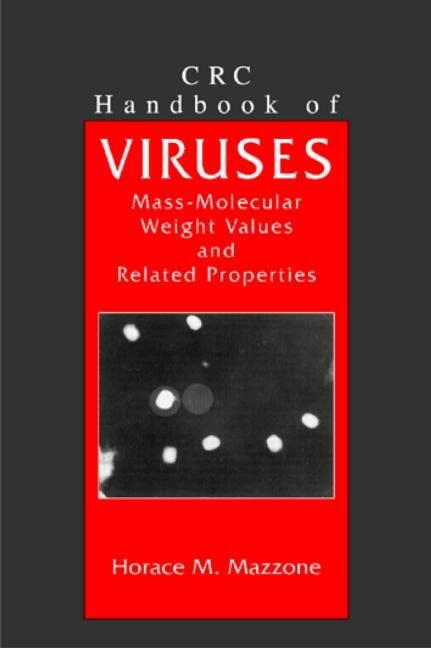 CRC Handbook of Viruses: Mass-Molecular Weight Values and Related Properties corrects this deficiency by presenting such data for all classes of viruses; centering on viruses, their molecular weight, and their related properties; and acquainting the investigator to many methods for obtaining the mass-molecular weight value of viruses. This singular study explains the variety of methods available to the researcher as well as provides examples of each method. Molecular weight values are accessed directly from the book, saving the investigator a tedious search through the range of literature. Sizing and solvation of viruses in solution - their "natural environment"